Every adolescent has one true foe. This foe has a thick, deformed stalk that twists in a conniving column up its tree-like trunk toward its hundred-headed top, sprouting a mass of tiny daggers camouflaged as miniscule flowers. He sinisterly lays each evening at your dining room table, concealing his treachery under your mother’s roof, and staring up at you with his pale, green eyes. You seem to be the only one to see through his façade, through his deceit, and to recognize the menace that he is. This foe, so familiar to all of us at one time or another, goes by the name broccoli. Maybe broccoli isn’t so bad for you, though. Maybe your mother’s insistence on eating vegetables and your inclination for nonconformity instilled an unjustified hatred toward broccoli. After all, medical research proves that your mom was actually on to something. Despite our gut feeling, it turns out that broccoli is one of the best vegetables for your health and a useful precaution for preventing cancer. Broccoli contains a high concentration of sulforaphane, a compound often found in cruciferous vegetables that provides strong anti-cancer properties. Sulforaphane is produced when the enzyme myrosinase reacts with glucoraphanin – a reaction which occurs when the two compounds mix, often caused by the chewing of the plant. Young sprouts of broccoli are very rich in glucoraphanin, and thus have a high potential for producing sulforaphane. In basic terms, the mixture of nutrients in broccoli can produce cancer preventative properties in your body. Individuals at high risk of cancer, especially of prostate or colon cancer, should increase their dietary consumption of broccoli. But it’s not as simple as that. It’s not just about what you eat, but how you eat it. The recipe and method used for cooking broccoli will dramatically affect the health benefits that it yields. 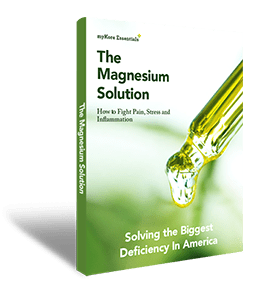 Before producing sulforaphane, there must be a reaction involving the enzyme myrosinase. Yet, cooking methods like boiling or microwaving will destroy the myrosinase enzymes, inhibiting the reaction and reducing broccoli’s health value. The goal is to prepare broccoli in such a way that it retains all of its enzymes and nutrients. 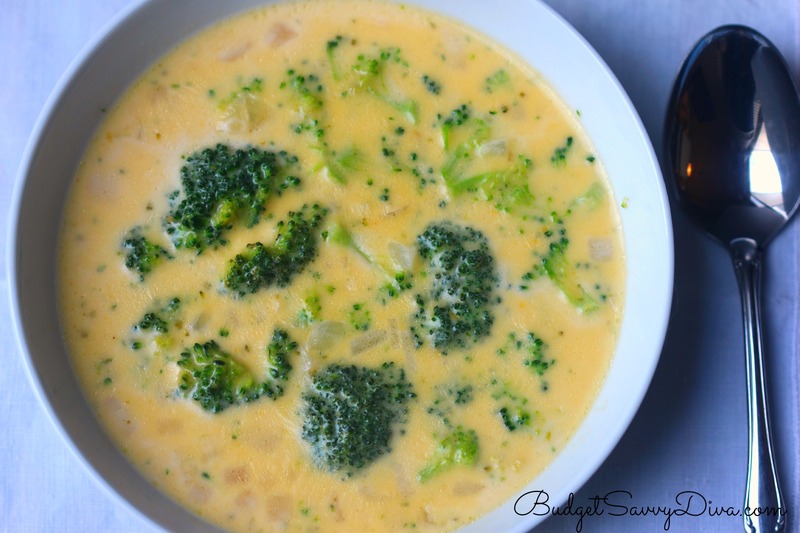 Typically, when you make creamy broccoli soup, the myrosinase enzymes are lost during the simmering process. So this time, after lightly steaming broccoli for three to five minutes, set aside all of the leafy floret, and save it for the last step in the recipe – the leafy buds is where the myrosinase enzymes are held. 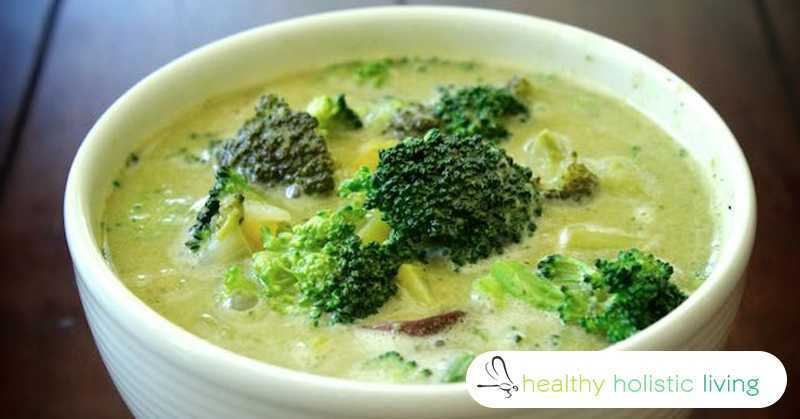 Take a look at this creamy broccoli soup recipe that’ll have your mouth watering while maximizing the nutrient yield from your meal. 4 cups fresh broccoli, including stems, set aside florets after steaming. Heat oil over medium heat in a large pot. Sauté celery and onion for four minutes, until softened. Add potatoes and broccoli stems, sauté for two more minutes. Add chicken broth and almond milk, bring to a boil. Reduce heat, cover, and simmer for approximately twenty minutes. When simmered and vegetables tenderized, pour mixture into a blender and puree until smooth. Serve soup, and garnish each bowl with abundance of feta cheese and broccoli buds – enabling the reaction producing sulforaphane. If you liked this recipe, try this Broccoli Chip Recipe and this Vegan, GF Broccoli Pasta Recipe too!